The P860 is capable of peak levels up to an incredible 138 dB, with THX reference level output at 16 meters (over 52 feet! 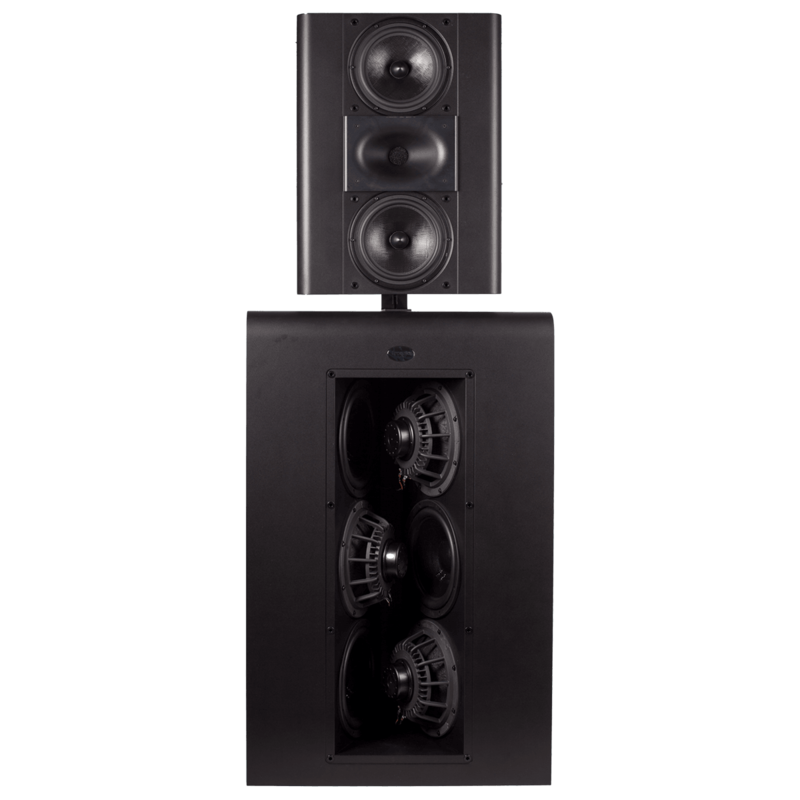 ), this speaker is designed for rooms up to 24 meters (80 feet) deep, enabling it to fill even mid-sized commercial theaters with highly accurate, dynamic sound. 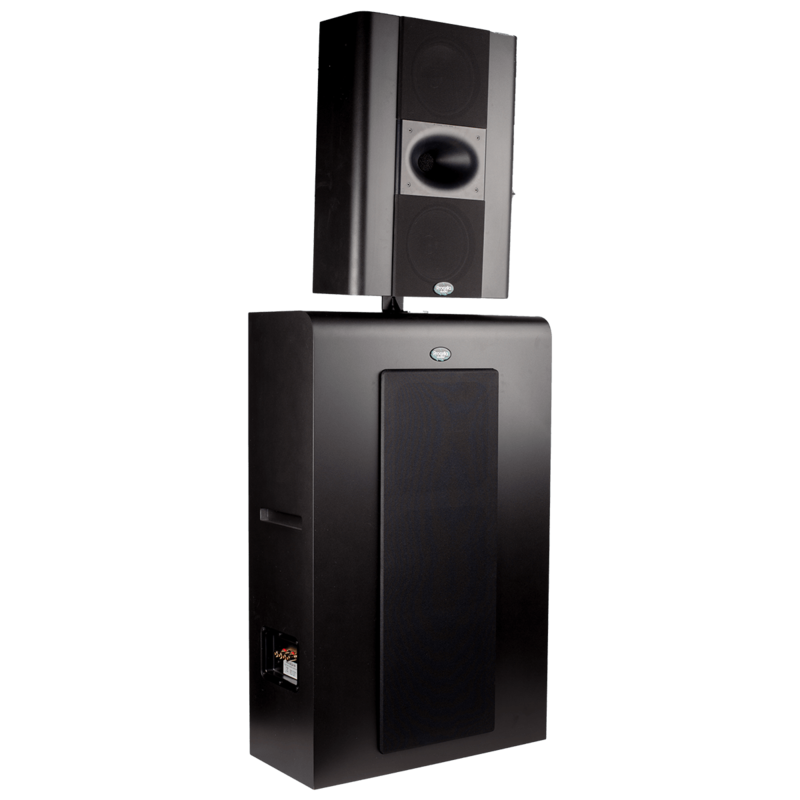 The 6-foot tall P860 is Procella’s flagship and the ultimate full-range main speaker. 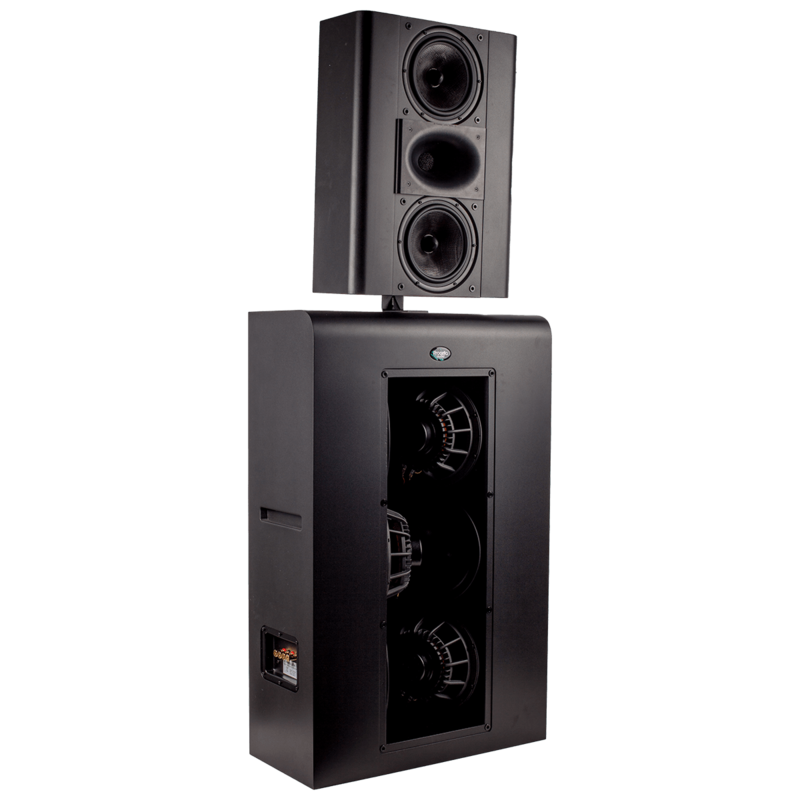 Capable of peak levels up to an incredible 138 dB, with THX reference level output at 16 meters (over 52 feet! 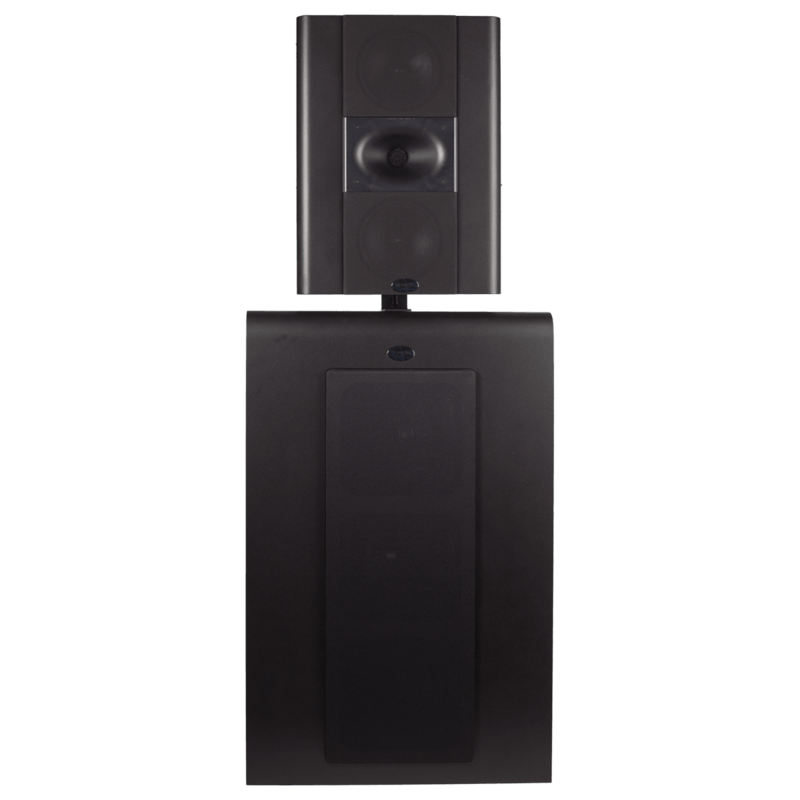 ), this speaker is designed for rooms up to 24 meters (80 feet) deep, enabling it to fill even mid-sized commercial theaters with highly accurate, dynamic sound. Its P28 mid/high frequency module uses dual high-output pro-quality 8 inch midranges and a 1.5 inch compression driver with Procella waveguide, and its low-frequency enclosure features Procella V6 Power, utilizing six professional 10-inch woofers in a push-pull, distortion cancelling configuration that produces massive impact and dynamics. The P860 is biamplified, requiring two complete Procella DA-06DSP 2,400 Watt power amplifiers with DSP crossovers. Three amplifier channels are used to driver the V6 low-frequency enclosure and one channel is required for the P28 mid/high frequency module. 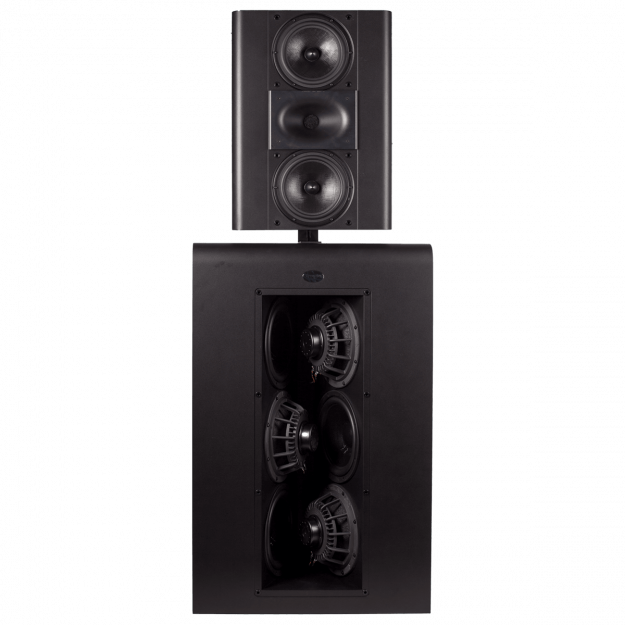 Never before has a loudspeaker combined the ability to deliver massive output in large rooms with the P860’s high-resolution audio capabilities. 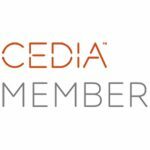 If the room size or budget allows, the P860 is the only choice.